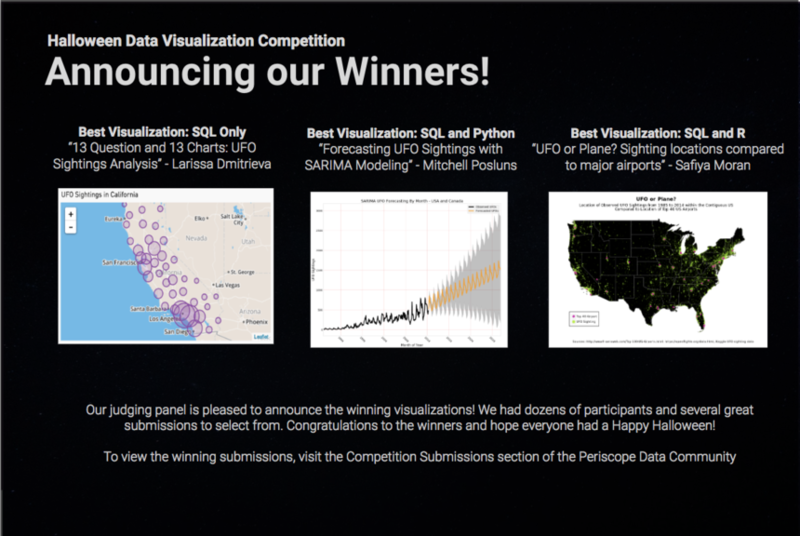 The Periscope Data Community is pleased to announce the winners from its first ever competition! In the spirit of all things Halloween, users were challenged to create a data visualization using Kaggle’s dataset on UFO sightings. First place winners in each category receive a $200 Amazon gift card and a coffee chat (in person or virtual) with Periscope Data’s Head of Analytics!